A delegation of 15 Philippine businesses operating in food, packing and business franchises attended a trade exchange in Ho Chi Minh City on August 18 with Vietnamese enterprises to seek cooperation opportunities in the country. 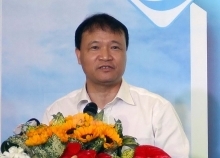 Deputy Director of the Ministry of Industry and Trade’s Trade Promotion Department Bui Thi Thanh An said that trade exchanges between Vietnam and the Philippines have yet to meet their full potential. Promoting connectivity between businesses will make it easier for them to seek partners, study markets and contribute to enhancing bilateral trade cooperation, especially as the ASEAN Economic Community forms by the end of this year, she added. According to the Foreign Investment Agency under the Ministry of Planning and Investment, there were 74 projects worth over 303 million USD invested by Philippine businesses in 16 Vietnamese localities as of June, mainly in processing and manufacturing industries. Last year, trade reached nearly 3 billion USD, 2.3 billion USD of which came from Vietnam’s exports. 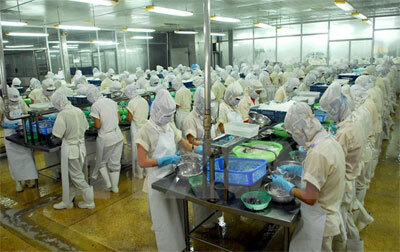 Vietnam mainly sends agricultural products, seafood, food, iron and steel and component parts to the Philippines./.